Another "Lost Engine" story with a happy ending is that of American Viscose Company no. 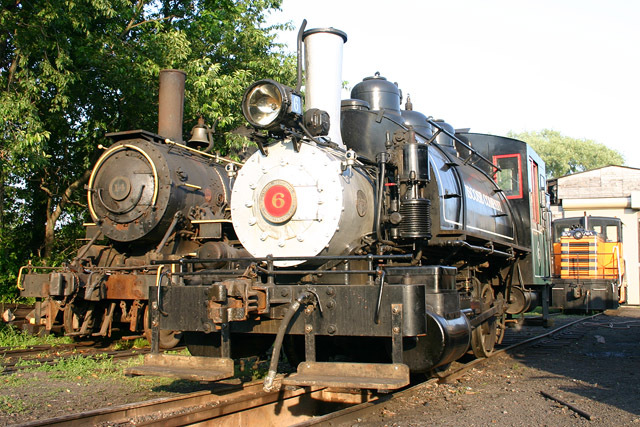 6, one of two 0-4-0 saddletanks that languished for many years in a scrapyard in Pulaski, Virginia. 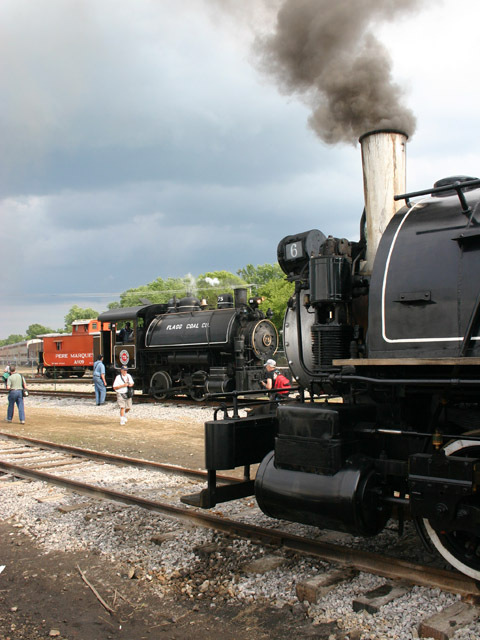 Both locomotives were rescued from the yard in 2004. Viscose no. 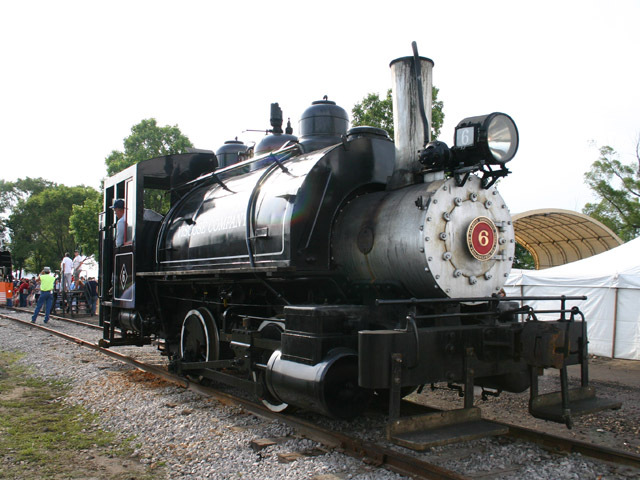 6 was purchased by Scott Symans of Dunkirk, New York, who restored the 1924 Baldwin to steam. 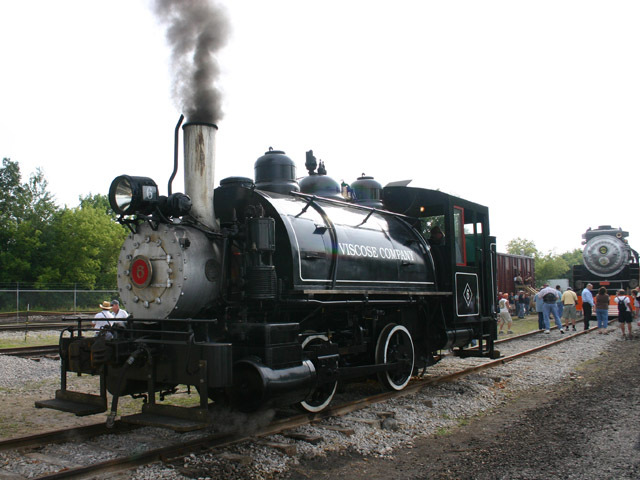 Since her return to steam in 2007, this beautifully-restored locomotive now visits tourist railroads and events around the northeast. Viscose no. 6 and Southern Pacific 4449 - who would have thought this scene would be possible five years ago, when no. 6 was still a rusting hulk in Pulaski? Another view of no. 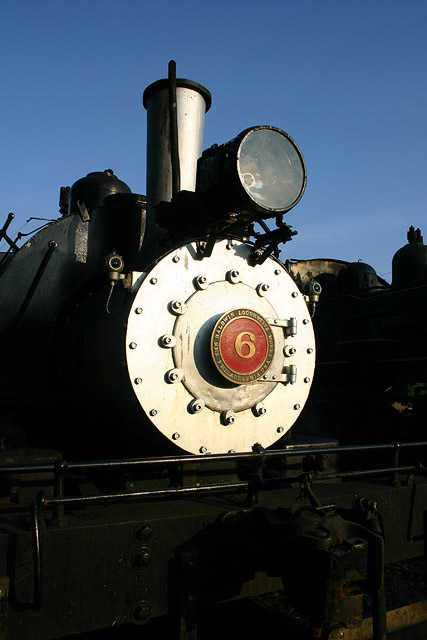 6 at Trainfest. 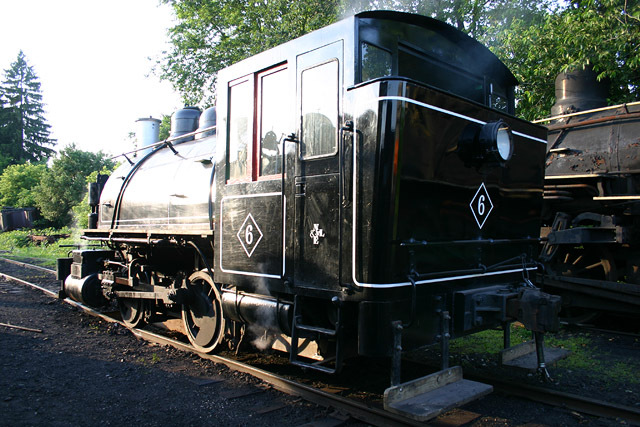 Close-up of the smokebox of no. 6 simmering alongside Arcade & Attica 2-8-0 no. 18 after pulling a double-header earlier in the day.